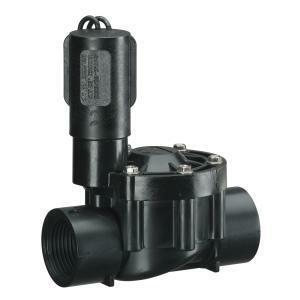 The Signature 9000 Series valve has few moving parts, is heavy duty PVC construction, has a fully encased 24VAC solenoid with stainless steel plunger and a fabric reinforced diaphragm making this extremely durable. Easy to operate manual internal bleed - just twist the solenoid. Fast and easy servicing with just six stainless steel phillips head screws to remove bonnet. Signature 9000 Series valves are also fully compatible with SoloRain battery-operated actuators.